MOSCOW --- Egypt might acquire new combat aircraft, including the Russian-originated ones to recapitalize its fighter fleet, according to the IHS Jane`s think-tank. "Egypt appears to be poised to commit to the procurement of nearly 50 fourth-generation+ fighters from Russia, perhaps one of the final stages of the recapitalization of its fighter inventory," Reed Foster, a defense analyst with IHS Jane`s said. According to the Military Balance 2016 report issued by the International Institute for Strategic Studies (IISS), the Egyptian Air Force operates 584 fixed-wing aircraft, including 26 F-16A Fighting Falcon, 6 F-16B Fighting Falcon, about 30 J-7, 29 F-4E Phantom II, 139 F-16C Fighting Falcon, 38 F-16D Fighting Falcon, 3 Mirage 2000B, 15 Mirage 2000C, 36 Mirage 5D/E, 12 Mirage 5E/2, about 50 MiG-21/MiG-21U (Fishbed/Mongol M, respectively), 3 Rafale DM multirole fighter jets, 2 VC-130H Hercules and 4 Beech 1900 electronic intelligence planes, 6 Mirage 5R/5SDR intelligence/surveillance/reconnaissance (ISR) aircraft, 7 E-2C Hawkeye airborne early warning and control (AEW&C) planes, 21 C-130H Hercules, 3 C-130H-30 Hercules, 3 Antonov An-74TK-200A, 1 Beech 200 King Air, 4 Beech 1900C, 8 C-295M, 9 DHC-5 Buffalo military transport aircraft, 1 Boeing 707-366C, 3 Falcon 20, 2 Gulfstream III, 1 Gulfstream IV, 4 Gulfstream IV-SP airliners, 36 Alpha Jet, 54 EMB-312 Tucano, 74 Grob 115EG, 120 K-8 Karakorum, 10 L-39 Albatros, and 35 L-59E Albatros trainers. Therefore, the service does not have cutting-edge combat aircraft at present. A total of about 90 legacy Mikoyan MiG-21 and J-7 (a Chinese copy of the MiG-21 fighter) combat aircraft still remain active. They should be equipped with modern air-launched weaponry, defensive aids, sensors, targeting packages, refurbished engines, etc. "Russian defense and industry representatives have repeatedly insisted that a complement of modern Russian-built multirole aircraft is required to replace ageing Soviet-era platforms, but questions remain as to how such aircraft would be placed into the current and future mosaic of Egyptian requirements," the analyst said. According to IHS Jane’s, the Egyptian Air Force is rapidly upgrading its inventory. The service has received 20 F-16C/D fighters. The supplies of the Rafale combat aircraft by French Dassault Aviation have already commenced this year; the Military Balance 2016 notes that Egypt’s Air Force has introduced at least three Rafale multirole fighter jets. F-16C/Ds and Rafales will replace the ageing US- and French-originated platforms in the service`s inventory. IHS Jane’s supposes that Egypt may acquire Russian-originated MiG-29M/M2 (NATO reporting name: Fulcrum) multirole fighter jets. "The size, scope, and certainty of the Russian aircraft procurement is far from secured, as Russian defense and industry officials have alluded to a contract of significance with Egypt since early 2014. The type of aircraft to be procured has oscillated between an advanced variant of the MiG-29 [MiG-29M; M stands for Upgraded, Modernizirovanny] and the latest iteration of the MiG-29 family, [namely] the MiG-35. As the MiG-35 is still undergoing initial flight trials and qualification for the Russian Aerospace Forces (Russian acronym: VKS, Vozdushno-Kosmicheskie Sily), the more likely option for Egypt would appear to be an advanced version, MiG-29M, in most respects a MiG-35 in all but name. Both aircraft feature the same RD-33MK (MK stands for Upgraded, Commercial; Modernizirovanny, Kommercheskiy) engines also utilized on India's MiG-29Ks [ship-borne fighters], improved flight avionics, electronic countermeasures, targeting systems, and the ability to employ nearly the entire array of modern Russian air-launched munitions," Reed Foster pointed out. However, the Egypt`s public commitment to acquire the Russian-originated fighters is 'elusive', the analyst added. '[Cairo’s] requirement to modernize the fighter fleet has only become more acute in recent years. The security of the Middle East has continued to deteriorate' [the recent] balance has challenged the status quo long-established by the United States and allied Gulf monarchies," Foster emphasized. The ability for the MiG-29M [multirole fighter jet] be equipped with modern infrared search-and-track and electronic countermeasures [ESM] payloads would increase the survivability of the aircraft over its predecessors if Egypt decided to conduct missions in contested areas. [It should be noted that] the requirement for both munitions and communication and sensor systems that can operate in EW-contested environment remains actual. Several Russian-designed airborne systems have been developed for operating in such environments, benefiting from advances made within Russian industry in the development of offensive and defensive EW systems," the analyst pointed out. The IHS Jane’s think-tank supposes that the potential Egyptian requirement for MiG-29M fighters may be pre-conditioned by both political and technical considerations. "Despite lacking significant international or domestic orders in the near term, Russia is likely keen on retaining the production capacity and aeronautical expertise of Mikoyan, and will likely ensure that any deal with Egypt for MiG-29M aircraft is provided with exceptional value to the Egyptian government. Although there is little economic advantage to maintaining a fleet principally consisting of three aircraft from three suppliers in separate supplier countries, the surety of supply provided through diversification of Egypt's supply base is likely to be judged worth the logistical and economic burdens imposed," Foster emphasized. 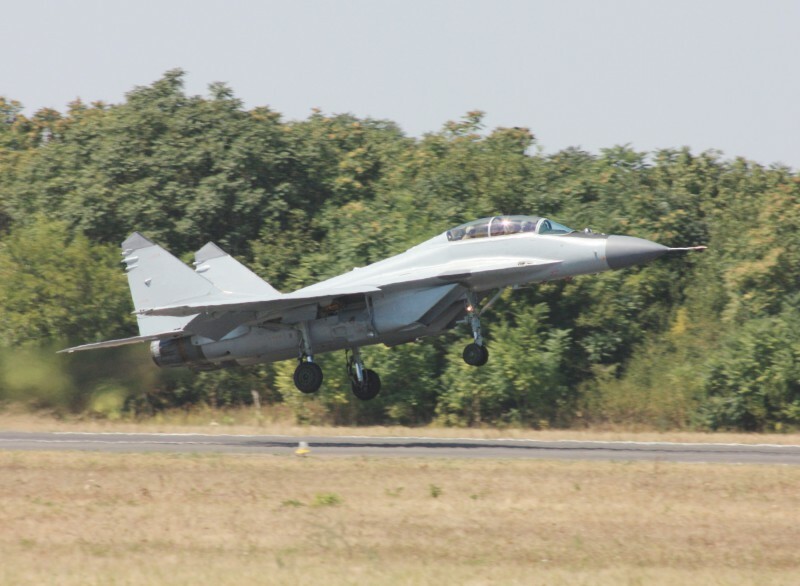 "Overall, the performance and capability enhancements that the MiG-29M will offer Egypt over additional F-16Cs or Rafales are few, with most advantages being geopolitical, economic, and logistical. The estimated lower cost-per-flight hour and maintenance and upgrade packages likely make it a less risky proposition in uncertain economic times. However, despite the lack of any truly outstanding characteristics over the existing and future Egyptian inventory, the MiG-29M [fully] fulfills the requirements for a flexible multirole fighter capable of being employed upon a range of missions for which the Egyptian Air Force will likely be charged. Key performance characteristics of the aircraft are suitable for current and near-term capability requirements and continued investment in and development of future avionics, radar, and munitions by Russian industry will likely enable the MiG-29M to remain a functional and relevant addition to the Egyptian air inventory for some time to come," the analyst concluded. The RSK MiG corporation (a subsidiary of the United Aircraft Corporation, OAK) has not confirmed the aforementioned information. According to the official technical specification issued by the RSK MiG company, the MiG-29M single-seat fighter has a normal take-off-weight of 19,200 kg, a maximum take-off weight of 26,500 kg, a maximum speed near ground of 1,400 km/h, a maximum airspeed of 2,100 km/h, a service ceiling of 16,000 m, a maximum airframe acceleration of 8-9G, and a ferry range of 1,800-2,000 km without additional fuel tanks and 2,800-3,000 km with three additional fuel tanks. MiG-29M features nine hardpoints for air-launched weapons. The fighter can fire RVV-AE (AA-12 Adder), R-27R1/R-27EhR1 (AA-10 Alamo), R-27T1/R-27EhT1 (AA-10 Alamo), and R-73Eh (AA-11 Archer) air-to-air (AA) missiles, Kh-29L (AS-14 Kedge), Kh-31A (AS-17 Krypton), Kh-35Eh (AS-20 Kayak), and Kh-31P (AS-17 Krypton) air-to-surface (AS) missiles, KAB-500Kr smart bombs, S-8 unguided rockets, and 100-500 kg free-fall bombs. The fighter features single GSh-30-1 30 mm aircraft automatic cannon. The MiG-29M aircraft is powered by two Klimov RD-33MK jet engine with a take-off thrust of 9,000 kgf each. The MiG-29M2 twin-seat variant of the fighter has a normal take-off-weight of 19,000 kg, a maximum take-off weight of 26,500 kg, a maximum speed near ground of 1,400 km/h, a maximum airspeed of 2,100 km/h, a service ceiling of 16,200 m, a maximum airframe acceleration of 8-9G, and a ferry range of 1,600-1,700 km without additional fuel tanks and 2,650-2,700 km with three additional fuel tanks. The MiG-29M2 combat aircraft features nine hardpoints for air-launched weapons.